Scientists used to think that DNA from our food was always broken down during digestion. But a number of research studies aggregately show otherwise. The truth is, whole genes from other organisms can remain intact after we consume them and they can be found in our bloodstreams! Foreign DNA in Our Blood? According to a published article in the Public Library of Science (PLOS), genes from genetically modified foods we eat can enter the human blood. This report is based on four different studies with over 1000 human samples that found DNA fragments of organisms outside of our own that have entered the human circulation system through an unknown mechanism. These genes were able to avoid degradation, a process that the digestion system undergoes to break down proteins and DNA. In fact, one of the blood samples showed a higher concentration of plant DNA compared to human DNA, which is quite alarming for the human body. You may ask, “what danger does this information pose on my body?” Well, it’s important to give you a brief understanding of genetically modified foods and what effects they can have on your body. You have probably heard the acronym GMO in the past, and you might’ve even come across food labels that have “non-GMO” printed on the front label. Many food products contain this specific information because GMOs are a major concern when it comes to our health and here’s why. GMO stands for genetically modified organisms. They are organisms (i.e., plants, animals, or microorganisms) where their DNA gets manipulated through artificial recombination and cross-breeding methods. The process of genetically modifying foods (GMO foods) is meant to bring perceived advantages to producers and consumers of these foods. It can be deceiving to think that it’s okay to consume foods that contain GMO especially because their prices are much lower than non-GMO foods and they aren’t banned in the food industry. But beware, not everything in the food market is good for you and genetically modified foods, in particular, may bring risks to your health. 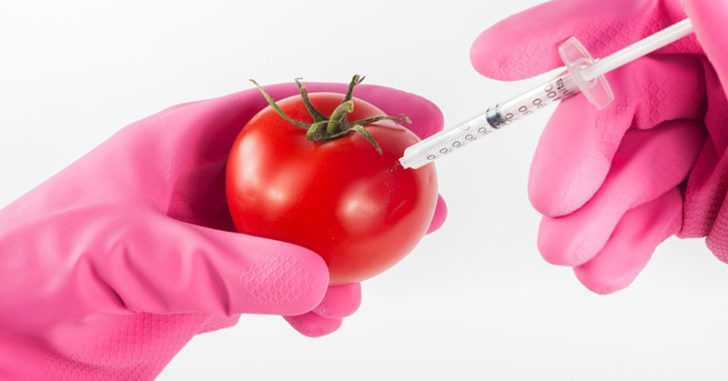 Related Article: What Foods Are Genetically Modified? According to the World Health Organization (WHO), gene transfer and the movement of genes from genetically modified plants into conventional crops or related species may have an effect on food safety and food security. Presently, 64 countries around the world, including Australia, Japan, and all of the countries in the European Union require genetically modified foods to be labeled. The same can’t be said for the U.S. and Canada, even though a 2015 ABC News survey found that 93% of Americans believe that genetically modified foods should be labeled. As for the rest of the world, there are 300 regions with outright bans of growing GMOs. Geneticist David Suzuki expresses his concern that human beings are just part of a “massive genetic experiment” over many years, as thousands of people continue to consume GMOs. He even used an analogy to further explain the artificial process of genetic modification and that its drastic effects are beyond current comprehension. Suzuki’s concern is only one of many regarding GMOs. The truth of the matter is that the safety of GMOs is unknown and rigorous research is further needed to prove that there are any health benefits tied to GMO. As such, people are increasingly choosing to take matters into their own hands by choosing to purchase food products that have non-GMO. If you have been oblivious to the dangers of GMO, it’s time you pay careful attention to what’s in your food and how it’s made. If possible, make an effort to eat non-GMO foods to protect your health. Clarisse is a health and fitness advocate. She’s an avid runner who has completed both a half-marathon and a full-marathon in the past. She also prides herself on following a healthy diet, and she enjoys sharing her knowledge of healthy tips & tricks as a contributor writer here at Healthy Holistic Living.